A new process under development in Israel could provide the economical, earth-friendly solution many industries seek for cleaning up soil, sludge and sediment polluted by their activities. Phased transaction extraction (PTE) is meant as a new tool to help get rid of industrial pollution both for nonvolatile organic and metal pollutants, especially in wet conditions. PTE uses a combination of methods to remove and concentrate the substances. All components – both the pollutants and the materials that separate them – can be recycled. Prof. Amos Ullman devised the system with fellow Tel Aviv University Faculty of Engineering Prof. Naima Brauner and Prof. Zvi Lodmer of the Faculty of Agriculture at the Hebrew University’s Rehovot campus, and a team of graduate students. The two-step customizable process uses lightly heated solvents to extract organic compounds, while simultaneously removing heavy metals with one or more chelating agents — large molecules that bond to the toxic metals and separate them from the source medium. The professors have been testing the technology for a decade and have published their findings in Environmental Engineering Science, Hazardous Materials and Chemical Engineering Journal. A grant from the Israeli Ministry of Science and Technology recently enabled them to build a pilot lab in a former greenhouse on the Rehovot campus. “Now we can show that what works well at lab scale also works at the same efficiency at pilot scale, in a reactor of about 50 liters,” Ullmann tells ISRAEL21c. The pilot lab setup also allowed the inventors to add ancillary facilities to develop the end processes. “We have to recycle the solvents and the chelating agents we are using to catch the metals. Without recycling those ingredients it would be too expensive,” Ullmann says. 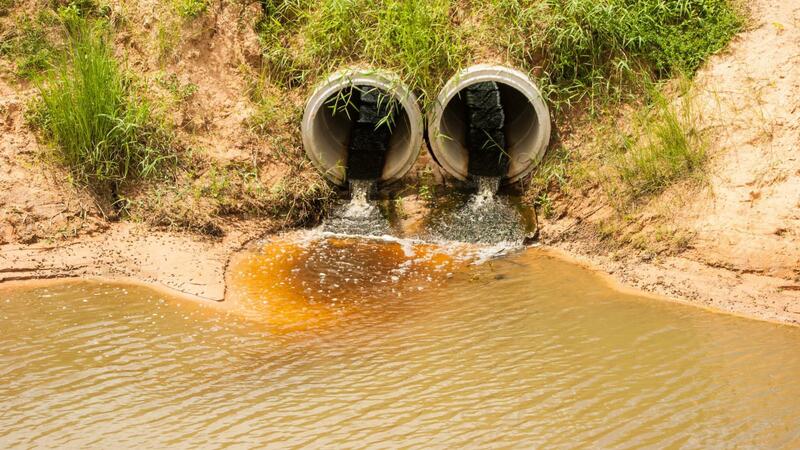 Solutions for cleaning pollution from wet sources is necessary, he explains, because historically industrial plants have been situated on or near rivers for easy access to water, transportation and disposal of sewage and industrial byproducts. “Another source of pollution we think we can handle is industrial wastewater treatment plants, when the water coming from the plants contains organic and inorganic pollutants,” he says. The main innovation in the Israeli researchers’ process is the heating of the mixture of organic solvent and chelating agent, which allows these substances to better penetrate the polluted particles. Once cooled, the separation happens quickly without the formation of a stable emulsion. Ullmann says PTE is for situations when an existing method isn’t efficient enough. “The simplest approach is to dig out the contaminated soil or sediment and move it somewhere else, although that is not cheap. We concentrate the pollutants to very small volumes and you then have to move only that very small volume rather than all the dirt,” he points out. The target markets for PTE and SR-PTE (soil remediation phased transaction extraction) are Europe, China and the United States with their massive polluted industrial sites. In fact, land rehabilitation is one area with great economic potential for the Israeli professors’ system. Areas that were closed or off limits due to pollution can be cleaned up and transformed safely into public parks, building construction sites or agricultural fields. The four-meter PTE pilot facility is capable of handling several kilograms in a few hours. The area required for a full-size facility including auxiliary services will be in the range of 100 square meters and is based on a single reactor. The researchers are in advanced talks with a company in Israel dealing with the treatment of solid waste, including polluted land.